Jean-Pierre Panziera is the Chief Technology Director for High Performance Computing at Atos. He is also the current Chairman of ETP4HPC. 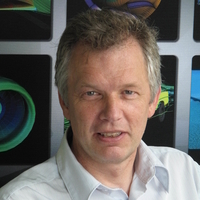 He joined Bull, now part of Atos, in 2009, and is responsible for future HPC hardware developments. He started his career at Elf-Aquitaine as a developer for seismic processing. He then worked for 20 years at SGI, first as an HPC application specialist and then as a Chief Engineer. Jean-Pierre holds an engineer degree from Ecole Nationale Supérieure des Mines de Paris.